Closed loop marketing describes the systematic development of address profiles on the basis of a limited amount of initial information. 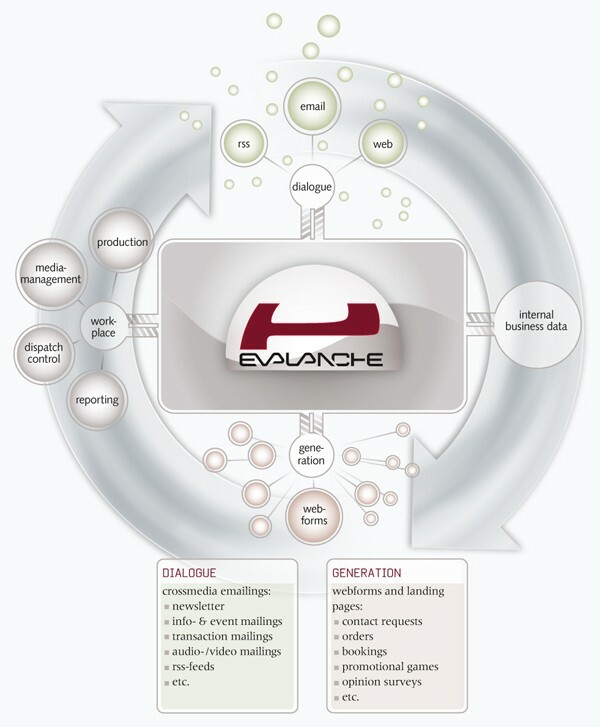 EVALANCHE manages the entire cycle of closed loop marketing for you – from address generation via the information design to dispatch and supplies you with meaningful data for the feedback analysis and performance control. 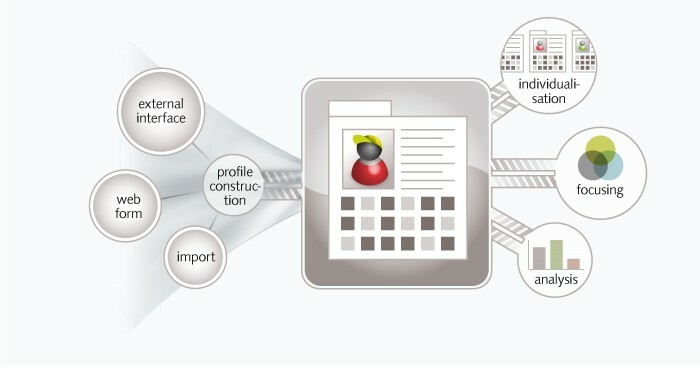 Central address generation with continuous profile development. We supply you with a solution with which you can create professional newsletters in a very short space of time – without programming knowledge. 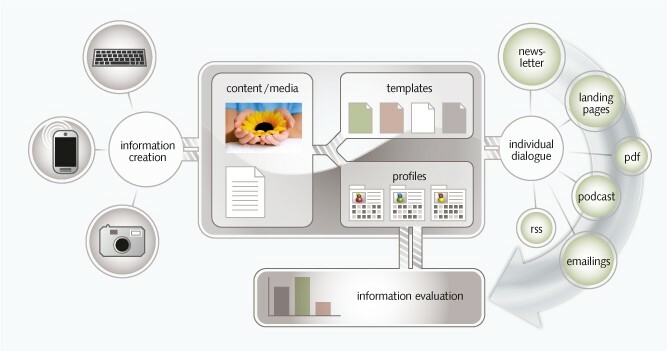 You simply insert texts, articles and images of your choice – the correct scaling and depiction is done automatically, as is the individualisation and personalisation for a targeted one-to-one communication. Web forms for address acquisition can be designed easily and intuitively on the screen and after design adaptations integrated into newsletters and websites – with automatic linking to fields of the address database and pre-completion of content at the click of the mouse. For a permanently successful campaign management, EVALANCHE offers you numerous statistical analyses that provide information about precise user behaviour – as the basis for a meaningful behaviour analysis. You thus continually improve your target group orientation and increase the efficiency of your communication strategy for future campaigns. State-of-the-art, high-performance server farms with 24/7 availability guarantee smooth and rapid dispatch. Our certifications and white list entries with service providers guarantee very high e-mail delivery rates and a maximum of quality and performance. Whether Internet Explorer, Firefox or Safari with Windows, Mac OS or Linux – EVALANCHE runs on all commercial available systems in the languages: German, English, Italian and French.